Contemporary gamers may still balk at the number of proliferating Android frequenters who do all of their gaming on the mobile platform, but given that mobile game development is a multi-billion dollar industry, it’s hard to remain very incredulous. However, it’s possible to up your Android gaming time without riveting your eyes to a tiny screen for hours; we’re here with a guide that will show you how to play Android games on your PC, whether you’re a Windows user or a Mac user. One of the most advantageous features of Google’s Android OS is the vast number of systems and device types that it can run on. While Apple’s iOS is a stellar system–which is a testament to the number of iPhones and iPads that are sold every year–Android is simply the most flexible option on the market, and its users know that. This has resulted in quite a few excellent gaming opportunities that every type of gamer is learning to enjoy, from puzzle-genre pick-up-and-play titles to deeper RPGs that you might better expect to see on a Nintendo device or a home console. All of this has coalesced into a simple fact: Android gaming is more than just a popular trend, and the massive app development industry that supports it only reflects this. So flexible is the Android OS that you don’t even need an Android device to get in on the action. Though there’s no native version of the mobile operating system that will run on separate devices–you’ll have to use a device built for Android, to do that–the emulation can fix this obstacle in a pinch. Best of all, it’s entirely legal, is built upon a well-regarded precedent of third-party software development, and is being officially embraced in many ways by important voices and businesses in the gaming community. In short, emulation is a legitimate way to enjoy Android games. You won’t find comparable enjoyment from Apple’s iOS, the proprietary nature of which practically guarantees that you’ll never see it emulated effectively on PCs unless some form of drastic change occurs with Apple. iOS will remain a feature of Apple devices and only Apple devices, but thankfully, as Android gaming has picked up steam, many of the games that you’d enjoy on iOS can be enjoyed there, as well. Candy Crush, Clash of Clans, Hearthstone, Temple Run, Fallout Shelter, Plants vs. Zombies and more can easily be enjoyed from the comfort of your desk, or wherever on earth you end up with your laptop computer. In the following guide, we’ll accomplish a couple of things. First, we’ll lay down recommendations for some of the best Android emulators that you can download, most of which are completely free. Second, we’ll walk you through the setup process and show you how to start downloading Android games within your emulator of choice. Many users come to the table with the false assumption that Android emulation is somehow illegal. While this is a valid concern for a few reasons, it couldn’t be further from the actual truth. The actual truth is that all forms of emulation are 100% legal. Very rarely is there any actual copyright infringement going on, but that doesn’t mean that the emulation process is always legal. Let me explain. When your computer emulates another type of operating system, it tricks a required portion of its own resources into behaving like something else. People have been using this process for more than a decade, often to give themselves access to popular games from home consoles right on their PC. An online search will reveal PlayStation emulators, Gameboy emulators, Xbox emulators, and more, almost all of which are free for download and entirely legal. The illegality arrives in the software that you’re emulating, rather than the emulator itself. For example, if you’re emulating a PlayStation 2 console, you’ll need games. Since there’s no app-based store from which to download titles (free or otherwise), you’ll need to download copies of those games, which is a strict violation of copyright, and also illegal. Android OS emulators rarely encounter this particular problem, since the emulator gives you access to the Google Play store, from which you can legitimately download or even purchase the apps that you want to use. In short, your emulated Android gaming is very likely to be entirely safe. That said, let’s dig into a few recommendations. Bluestacks is likely to crop up as the go-to emulator of choice for quite a few Android gamers who play on PC. This is largely in part to the developers’ marketing directly towards the Android gamer crowd, but it’s also due to Bluestacks being a top-notch piece of software. Even a cursory glance at the hosting website is going to show you that it’s geared towards games, but in truth, Bluestacks is a stellar option for running any Android app that’s currently available on the Google Play store. The initial version is free, but a meager monthly subscription will allow you to emulate without the annoyance of third-party software advertising. Even though Bluestacks is stellar, Andyroid is still my go-to emulator of choice. Part of this is due to my own preference for a minimalistic experience that won’t get between me and my Android games; if that’s you, then I can’t recommend Andy highly enough. 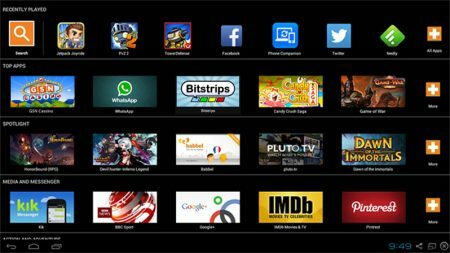 Like Bluestacks, it will run quite well on Windows PCs or Mac computers, and also features top notch Bluetooth support that will allow you to use your mobile device as an actual controller in the app. It also touts professional-level development and is kept up-to-date with the most recent release of the Android OS. Like the above two options, Droid4X will give you just about everything you could ask from an Android emulator. The “controller” function that will allow your mobile device to serve as a controller needs to be downloaded separately, but both simulator and controller are free. Droid4X is lacking in the professional polish that Andy and Bluestacks happily tout, but it also has less third-party software advertising behind it, and users that are looking to avoid mainstream options may, therefore, find Droid4X to be the preferable choice of an emulator. While I prefer to recommend free Android emulation solutions, I don’t stray from making mention of the paid options that are both high in quality and also frequently praised by users. American Megatrends’ emulator, AMIDuOS is a rock-solid piece of software that’s actually available as two different packages. While most Android emulators will simply strive to remain as up-to-date with the current release of Android as possible, AMIDuOS offers two different version of the operating system. Both have an attached price tag, but both also offer a free trial experience. The “Pro” bundle of Lollipop and Jellybean will run you $15 while the “Lite” bundle that only includes Jellybean will cost $10. I usually leave Manymo as my final recommendation, both because it stands apart from the crowd and also because it’s hard to enjoy without actually paying a modest subscription fee to use it. What makes Manymo different is the fact that it doesn’t require any form of download to use; you’ll only need to have an Android app .apk file, which can easily be downloaded from the Google Play store. From the Manymo website, you’ll be required to set up a profile, but after doing so, you’ll be given instruction on how this unique emulator works. Instead of running on your computer, it runs entirely within your web browser, and can effectively emulate apps at any number of resolutions frequently used by Android devices. Without paying, you’ll get 10 limited-duration uses per month, but that will greatly increase by shelling out the $9 monthly subscription fee. If you frequently aren’t in a position to install an emulator but still want to emulate Android games, this might be the most effective option for you. The actual setup process for any emulator that you’re installing is remarkably simple, thanks to the throughput ease-of-use offered by the Android OS. After deciding which emulator will be the right fit for you, simply download it and install it as you would any other piece of software. Once you have your emulator installed, simply open it up and get started! You’ll find that the actual home screen for most Android emulation software is actually not dissimilar from the screen on an Android device, which means that you should see the Google Play store right smack in the middle of your display. Simply open it up, and you’ll have access to all of the app-based Android OS games that you would from any mobile device! Download them, install them, and lose yourself in a few hours of gameplay that won’t require wrecking your focus and your eyesight by staring at a tiny screen. That wraps up our guide, and we’ve done our best to make it as informative as possible! 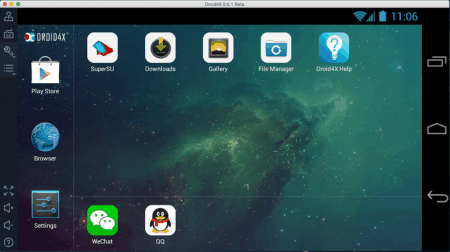 The above recommendations and steps can show you how to get an emulator set up in a matter of minutes so that you can play Android games on your PC. As always, leave your questions and comments below!